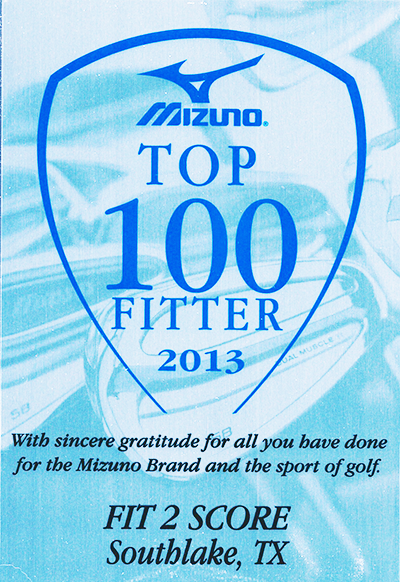 Russ is the owner of Fit2Score, a Dallas Fort Worth golf club fitting and building company. He has over 10 years experience building and fitting golf clubs. Russ was an early user of fitting with a FlightScope 3D radar launch monitor. He worked closely with SwingView Pro and FlightScope during the integration of video into the radar ball and head tracking software. 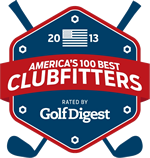 Russ has been named one of America’s 100 Best Clubfitters by Golf Digest Magazine in 2011 and again in the 2013 update of the original list. At one time he was active in the PCS and the AGCP, club building and fitting organizations. 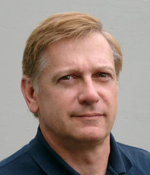 The AGCP named Russ a Master Fitter and acknowledged his contributions to the trade with the 2009 AGCP technology award. 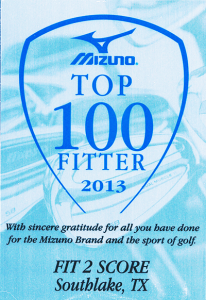 Living in the Dallas Fort Worth metroplex, Russ has access to the UST Mamiya Headquarters. It was there that he was first exposed to the concept of EI deflection measurement of shaft bend profiles. That exposure lead to design and development a precision instrument for measuring EI. Shortly after, a process of measuring GJ was developed. He created and maintains the databases that are the source of the charts and tables you see here. The authors of the reviews at GolfShaftReviews are owners of the EI instruments and contribute their measurements to the databases. To round out his knowledge of the golf swing, Russ has been certified by the Titleist Performance Institute as a Level 2 Golf Instructor He has completed the fitting certification programs at Titleist and Mizuno and was named a Top 100 Fitter in 2013 by Mizuno. In 2011 Russ launched DevotedGolfer.tv. This videocentric website features DFW golf professionals discussing equipment, instruction and fitness to the devoted golfer. DevotedGolfer.tv has media credential with the PGA Merchandise Show, the PGA and the LPGA. The focus at these events is golf equipment and golf technology. Many of Russ’ video productions related to golf gear and golf club fitting can be seen on the YouTube DevotedGolfer Channel.